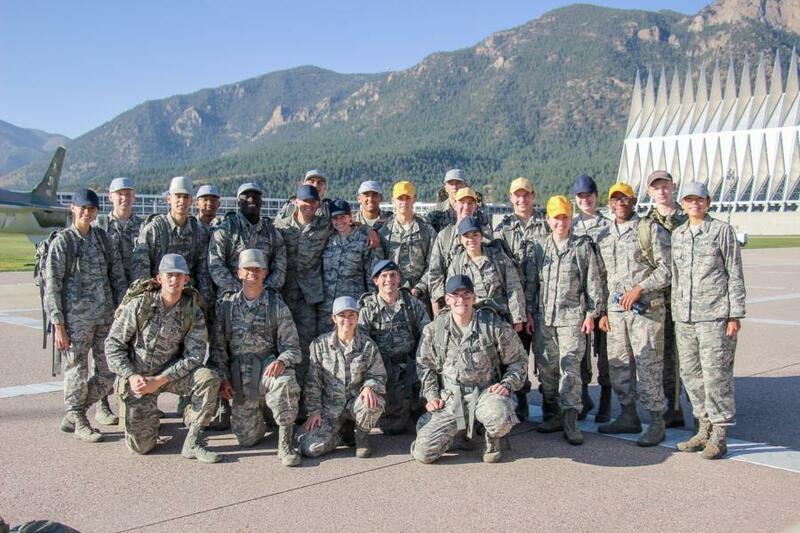 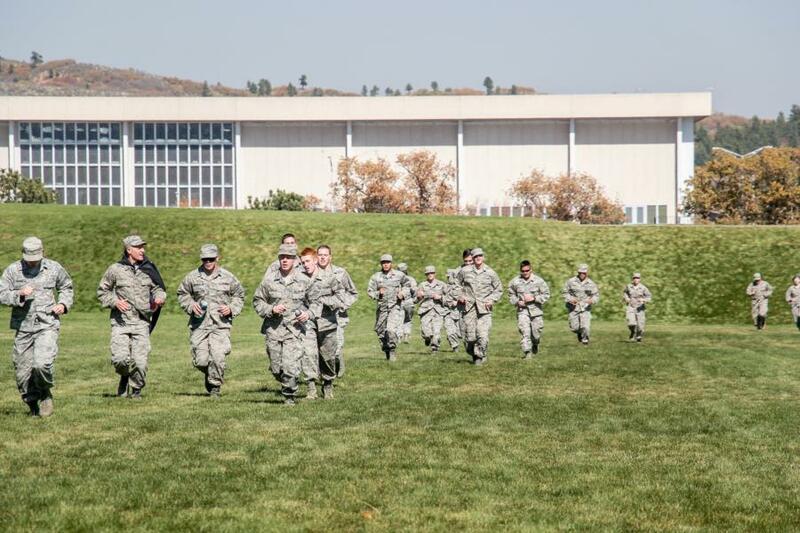 All day Friday the Cadet Wing participated in main events of the annual Commandant's Challenge, which has been going on for 10+ years here at the Academy. 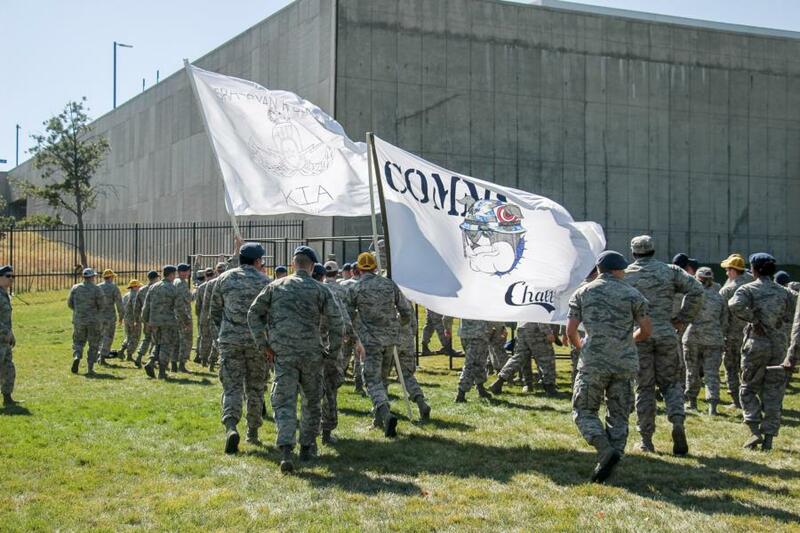 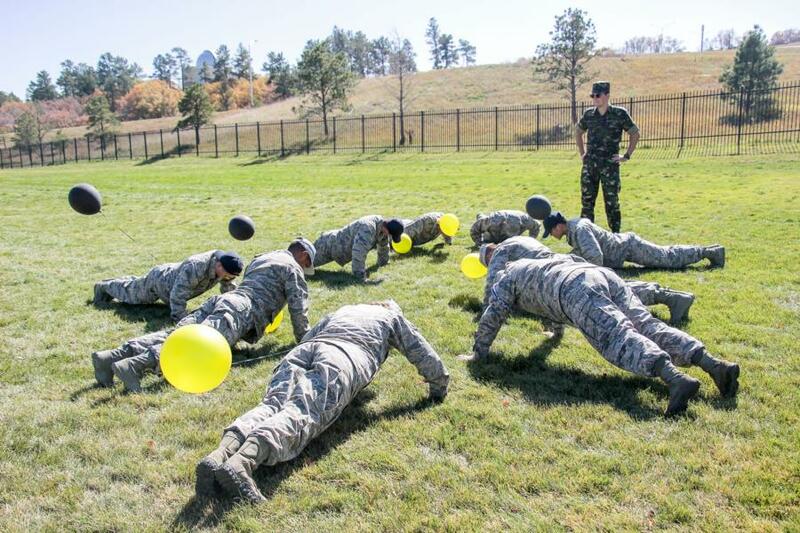 During the course of the day, Squadrons had to complete several stations and between the all hands on deck we had today with 3 graduate classes (1800+ people) back for their reunions, the WebGuy Team was able to catch a glimpse of some of the squadrons going through one of the stations of the Commandant Challenge. 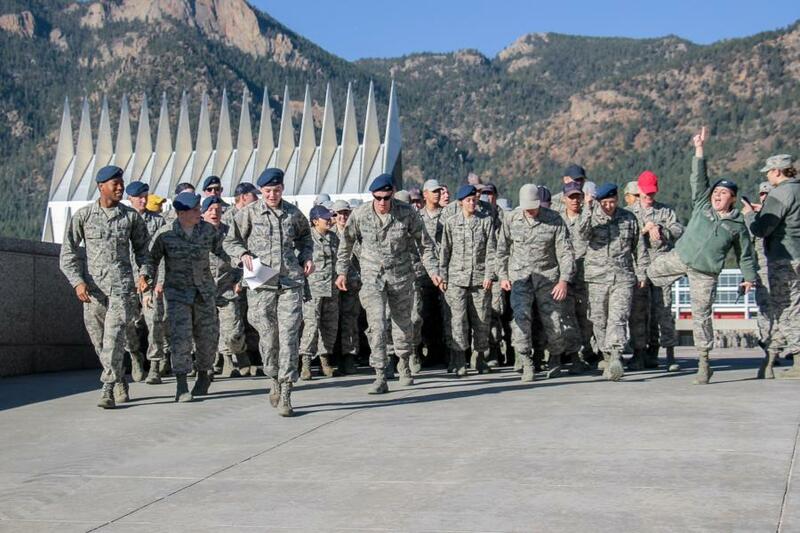 At the station we caught, each Squadron had to begin and end at the top of the Integrity Ramp on the Tzo. 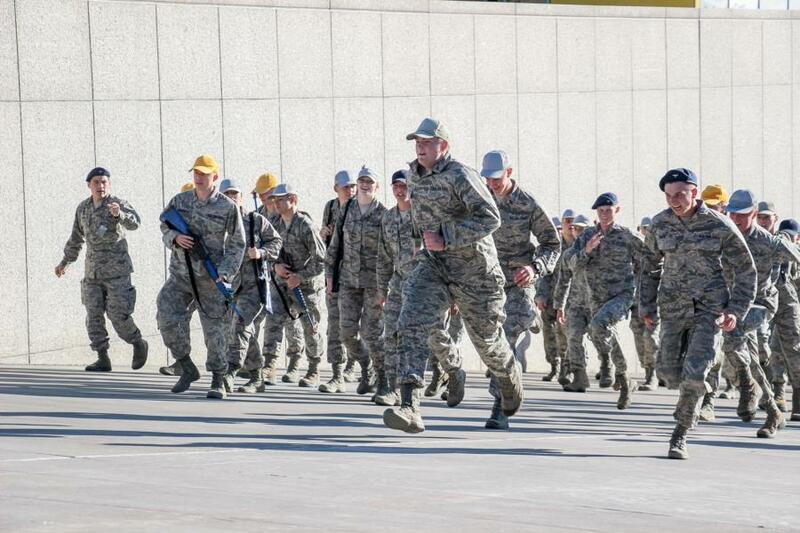 During the event they had to first run a mile down to the parade field, then split into the elements within their squadron and proceed to complete the "Murphy Challenge" (click here to read more about the Murphy Challenge) with a specific number of repetitions and exercises and once that was completed they had to then run a mile back to the Tzo. 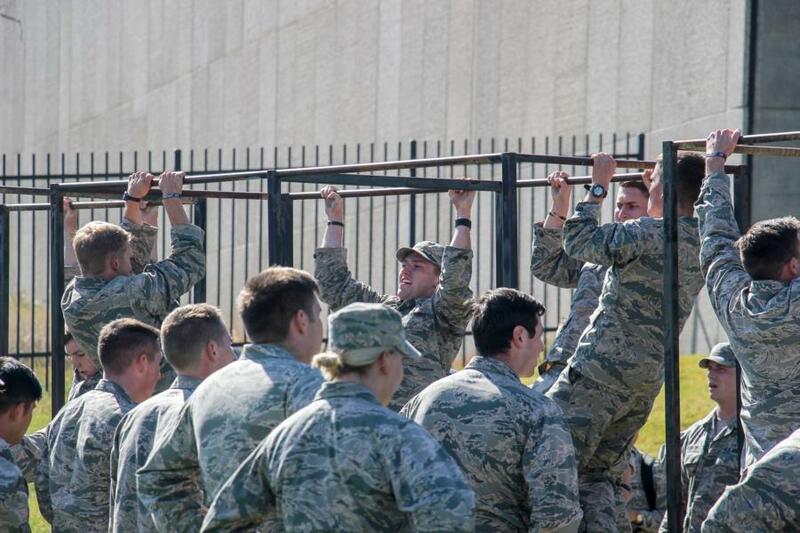 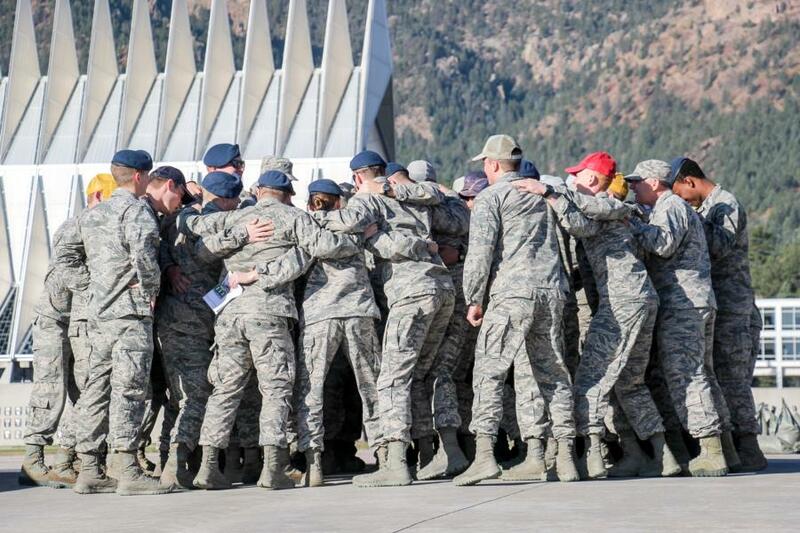 We also got a quick video clip of one of the Squadrons showing their spirit and their honoring of the Military member(s) they were completing the challenge for.